"Becoming is certainly not imitating, or identifying with something; neither is it regressing-progressing; neither is it corresponding, establishing corresponding relations; neither is it producing, producing a filiation or producing through filiation. Becoming is a verb with a consistency all its own; it does not reduce to, or lead back to, appearing,"
I thought it would be useful to describe the research and removal process of a recent support case involving a faculty member who had inadvertently gotten some malware. What I didn’t realize was the strange story of becoming and identity hidden in this seemingly simple procedure. I didn’t expect to be thrown into confusion at the mysterious person, identified in many ways throughout the course of my investigation, but most interestingly so, as simply “V”. An inability to set and retain a HomePage after browser restarts. Search omnibar set to Google in preferences, yet getting sent to Yahoo. 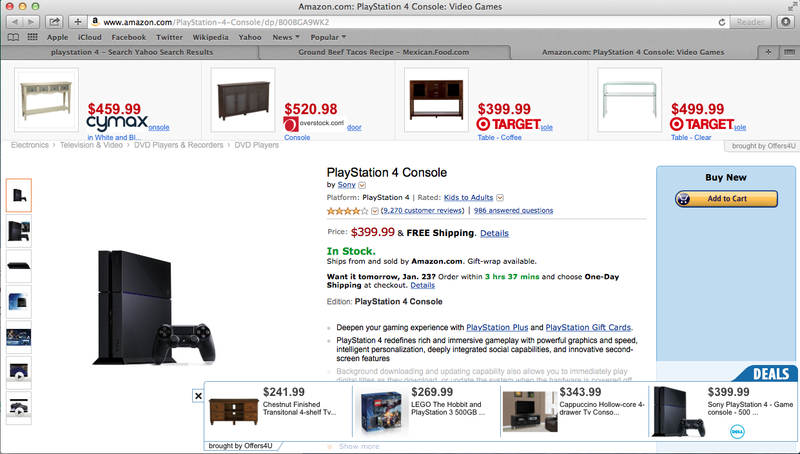 eCommerce sites like Amazon have an obtrusive overlay of other products from an unrelated site. All cookies are accepted. If preference is changed, it gets reset to allow all cookies upon browser restart. I have cleaned several of these things in the last few weeks, so clearly I can expect to see more in the future. This one in particular was masquerading as an FLV video player. I imagine the user found a video somewhere and couldn’t figure out how to play it. (I haven’t been able to figure out where or what the user searched for). “FLVPlayer1” was there to help. The user downloaded the disk image, mounted it, and ran the “installer” app contained within. Soon after, the user found that Safari and Chrome both kept setting the home page, despite reset/quit/restart cycles, to “www.only-search.com”. Also, searches from the omnibar were redirected to “only-search”, despite the preferences clearly stating that Google was the default search engine. Astute users would probably notice right away that this doesn’t look like a standard installer package or drag-n-drop application wrapped in a dmg. Because it isn’t. Also, notice the strange disk image name “SmartInstaller”… The disk image file is named FlvPlayer1.dmg, but is mounted as SmartInstaller. My guess on this is that “SmartInstaller”, and probably a lot of the later code, is written by some individual who then sells his product to would-be ransomers, who can customize the product to their needs (point it to their particular ransom website, make it look like something useful in particular—in this case a video player). The first thing it does is ask for an admin password, which is the last thing that a legit installer does. 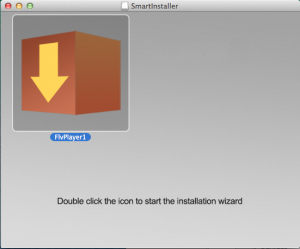 Here we can see that the installer program clearly does not look like an installer package. Why, malware author, not use the package format to make your installer look more legit? I’m not sure. I don’t see anything in the installed payload that wouldn’t work through a standard package. Again, this points to a customizable product; specifically, it’s probably set up so that someone with no knowledge of OS-specific deployment technologies can get up and running quickly. I’m sure there’s a Windows version of “SmartInstaller”/ProjectX as well. Deal Top is described as a browser plugin that offers you alternate shopping opportunities (from a FLVPlayer?) and mentions specifically that you’re welcome to uninstall it from the Internet Explorer, Chrome, or Firefox browser (my user uses Safari…). If you browse onto the other pages on the website, it’s pretty sparse. I took a look at the binary contained within, and sure enough, they’re identical. So “Deal Top”’s purported browser plugin is actually named “MPlayerX.dmg”? 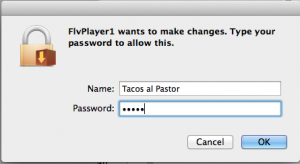 That sounds more like a… media player? Right? And it is identical to the “FlvPlayer1” which brought us here in the first place. There is an amusing link at the bottom, “Uninstall”, which leads to a new site: www.smart-installer.com. The “uninstall” information is, actually, basically what I’m going to tell you to do! This “smart-installer.com” site must be the destination for a lot of “Uninstall” links, since you’ll notice that the identifier for the LaunchAgents and LaunchDaemons only read “PackageToRemove”… Probably because there are hundred if not thousands of “Deal Top”-like sites and installers pointing to it. By the way, www.smart-installer.com src is just an html tag with an empty head and an empty body. Curious. I did a whois lookup on the websites mentioned above, without much useful information. Most of them are registered by www.enom.com, which is in term registered by GoDaddy. eNom is apparently based in Kirkland, WA, and you can read about them from the Better Business Bureau here. According to their Twitter profile, they are a wholesaler of domain names. “deal-top.com” is registered by namecheap.com, and is protected by their “whoisguard” product, which makes getting any information about who actually owns these websites difficult to ascertain. I’m not confident that it’s the same Moshe Cohen. Who knows. I’d be interested to see if there’s some way to see get information on a valid, registered Apple Developer. Specifically, references to SIMBL, which is short for “Simple Bundle Loader”. Check out the Wikipedia page. It allows you to load code into an application to manipulate it in ways that the original developer did not provide. A nice way of referring to them would be “unofficial plugins”, and a not so nice way would be “hacks”. I’m not sure that SIMBL stuff even works any more… Still, there’s a lot of references to PolarSSL, which is ominous. Further digging, and lo! More mystery! Now, this is something! It goes from sarcasm to worry to nihilism to familial gratitude in a rollercoaster haiku of a few mere lines. Somewhere out there, a deeply questioning V wants his mother to know, despite their estrangement, that he still thinks fondly of her. Anyway, back to the installer. Amusingly, it gives you the sham option of a “Quick (Recommended)” install, and an “Advanced” install. (Sorry, forgot to make a screenshot). Just for down-and-dirty research, I used JAMF’s Composer to track filesystem changes and generate the list above. I’ve removed the cruft from the application saved-state caching system, etc, and just left the files installed by “Smart Installer”. So, we’re looking at a system framework, and an executable hidden in Application Support, that is run and updated through a few LaunchAgents and LaunchDaemons. 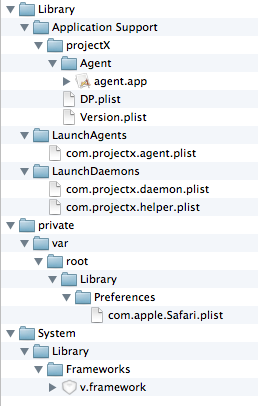 All of these LaunchD jobs load the “Agent” included in the Application Support folder, with different commandline arguments. I did some quick tcpdumps of “agent”, running with each of the commandline arguments, and didn’t find anything. Notice, also, that the name has changed again. 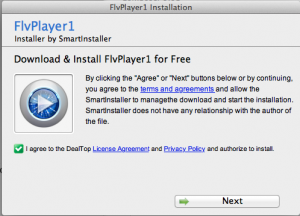 No longer “Smart Installer”, “FLVPlayer1”, or “Deal Top”. Now we’re looking at the sinisterly-named “projectx” (as per the reversed identifier). 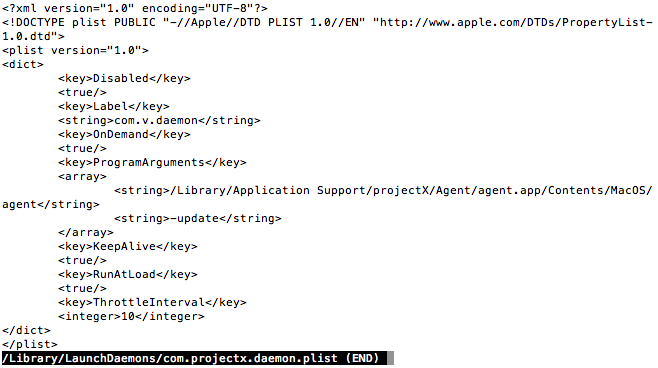 Perhaps as some kind of obfuscation, the identifier specified in each plist is different. 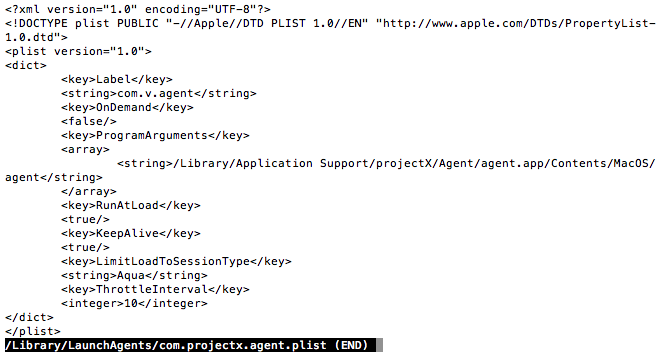 For example, com.projectx.agent.plist shows up in LaunchD as “com.v.agent”. 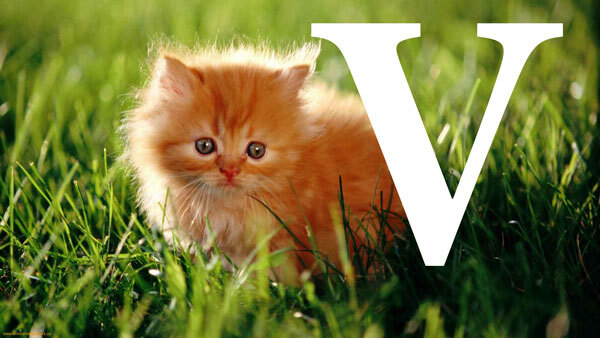 Being a fan of Pynchon, this new moniker, simply “V”, appeals to me. You can change it back to whatever you like, but upon restarting Safari, it is restored to “www-only-search.com”. This is what the “agent” is doing in the background-making sure that certain preferences are set how “they” (be they Moshe Cohen, Deal Top, “V”, etc) want it. I dumped all cookies from my test machine and quit Safari, and then restarted Safari. Very quickly, I could see a bunch of cookies being added to the cookie store. There must be some traffic going on in the background. After two restarts I had 36 cookies. That’s not the Amazon we all know. There is actually an overlay, just like Deal Top promised. Perhaps “V” is actually an upstanding entrepreneur. I made a packet capture with tcpdump while surfing around Amazon on an infected computer and, despite my relatively weak Wireshark skills, quickly identified some interesting traffic. A lot of extra traffic was going to some IP’s which included “www.superfish.com” in their requests. Superfish seems to be a legitimate visual search product, but if you search for “superfish malware” there does indeed seem to be a shopping “virus” named superfish. I plugged the IP address into whois and interestingly enough, a new name appeared. A “Grahame Cohen” is listed for a range of several IPs. Is this a relative of Moshe’s? A brother? I think it’s just another one of V’s shifting personalities, an alter-ego amongst many. Not to mention, there’s also a little handle on the overlays labeled “Offers4U”, just to add to the list of monikers, shell businesses, and mystery. In reality, all of this trouble seems to be an attempt to send as much web traffic through bizrate.com as possible to generate ad pay-per-click revenues. This is click fraud-check it out. It’s a huge industry. Unfortunately, I don’t know how to trace the pay-per-clicks to figure out who gets the money; who benefits from V’s deception? After all of that, how do we clean this stuff up? It’s actually quite simple. The quick and dirty approach is to just delete the files installed and reboot. Just to be nerdy, I like to unload them first just to be safe. So here’s how it’s done. $ #### Sudo in and unload/disable LaunchD jobs. $ launchctl list | grep com\.v\..
$ defaults delete com.apple.Safari "com.apple.Safari.ContentPageGroupIdentifier.WebKit2StorageBlockingPolicy"
$ #### Back to "me". $ defaults write com.apple.Safari HomePage "http://slashdot.org"
A reboot probably wouldn’t hurt. After all of this, things should be back to normal. This procedure is probably pretty similar across a variety of these “products”; just look for LaunchAgents/LaunchDaemons in the system domain and see what files they reference. At some point I plan on writing a little script to automate some of the research that goes on for this so that you can quickly and easily remove these things. I look forward to my next adware removal. I want to see if V is involved. Has he or she advanced in skill? Are there any more clues as to his mental state? How is his mother? © 2017 Shea Craig. Powered by Jekyll & Minimal Mistakes.